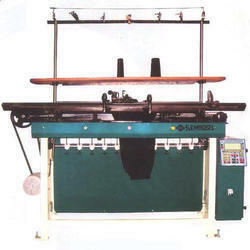 Pioneers in the industry, we offer computerized sleeves knitting machine from India. For our esteemed clients, we specialize in offering a premium quality range of Computerized Sleeves Knitting Machine. These are precisely designed in compliance with industry standards at our certified vendors base to provide high performance of machines. Further, we also offer deliver these machines within the stipulated time period to attain maximum level of client satisfaction. In addition to this, patrons can avail this range from us in various detailed specifications. Looking for Computerized Sleeves Knitting Machine ?